The January 2015 edition of the Science of the Total Environment journal features of selection of articles on the theme of “Towards a better understanding of the links between stressors, hazard assessment and ecosystem services under water scarcity.” The issue features three articles by the supporters of this blog, the MARS, SOLUTIONS and GLOBAQUA projects, discussing three different perspectives on studying and managing multiple stressors – i.e. factors such as pollution and drought which may have negative effects on the ecosystem – in freshwaters. Climate change is likely to further drive the effect of stressors on freshwater ecosystems, as “warmer temperatures and reduced river flows will likely increase the physiological burden of pollution on the aquatic biota, and biological feedback between stressors (e.g. climate change and nutrient pollution) may produce unexpected outcomes.” The impacts of human development on freshwater ecosystems – the “degradation of drainage basins, destruction of natural habitats, over-exploitation of fish populations and other natural resources, or the establishment of invasive species” – are also likely to be worsened in times of drought and water scarcity. The authors state that these relationships between stressors may be synergistic, in that their combined effect may be greater that the sum of their individual effects. As a result, the issue’s editors write that water scarcity is an important focus for study because it has both direct (i.e. the lack of water availability and flow) and indirect (i.e. the interaction with other stressors) stressor effects on freshwater ecosystem health and ecosystem service provision (e.g. fishing and clean water) Understanding the effects of water scarcity on freshwater ecosystems is particularly important in semi-arid regions, such as the Mediterranean basin where river flows may be highly variable, and at times non-existent (see our post on temporary rivers here). In this issue, the editors bring together a set of papers on the topic, presented at the 4th SCARCE International Conference held in Cádiz, Spain, on 25–26 November 2013. The MARS article, written by Daniel Hering and 19 other project scientists, outlines the background and aims of the project (see our blogs here and here), describing how multiple freshwater stressors are caused by a range of human activities such as urban and agricultural development, hydropower development, and (increasingly) climate change. Undertaking experiments and computer modelling on multiple stressors at three geographic scales – the water body (i.e. individual rivers and lakes); the river basin; and the European continent – Hering and colleagues state that “understanding how stressors interfere and impact upon ecological status and ecosystem services is essential for developing effective River Basin Management Plans (in the Water Framework Directive) and shaping future environmental policy.” Accordingly, this is a key focus for the project. How does water scarcity interact with other existing stressors in the study river basins? How will these interactions change according to the different scenarios of future global change? 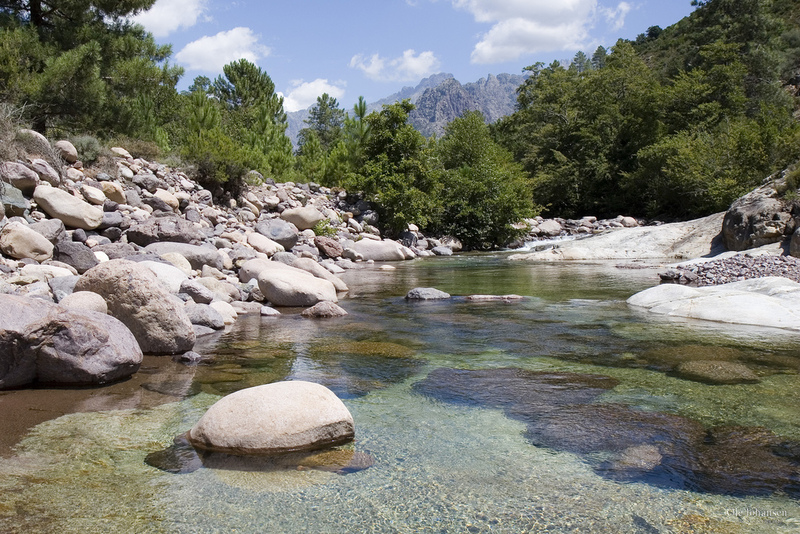 Which will be the foreseeable consequences for river ecosystems? How will these in turn affect the services the ecosystems provide? How should management and policies be adapted to minimise the ecological, economic and societal consequences?